Quilts made with love, for those we love, are so often invested with such a lot of meaning and emotion. I can’t bear to use the quilt I made for myself to use during my cancer treatments, but my husband loves it because it “gave you the hugs I couldn’t because I wasn’t around yet”. Conversely, the quilt I had with me during some of my hardest times is now a treasure I can’t bear to be parted from because it carries a chunk of my history. I think they become infused with the emotion they are surrounded with. Clearly, Lisa/Lucy’s quilt is infused with love. I’m so sorry your friend is going through this, and I’m so sorry you have to watch her do it. My thoughts are with you. Sorry to hear about your friend’s illness. The quilt is beautiful. Sorry to hear that your friend’s cancer has returned. 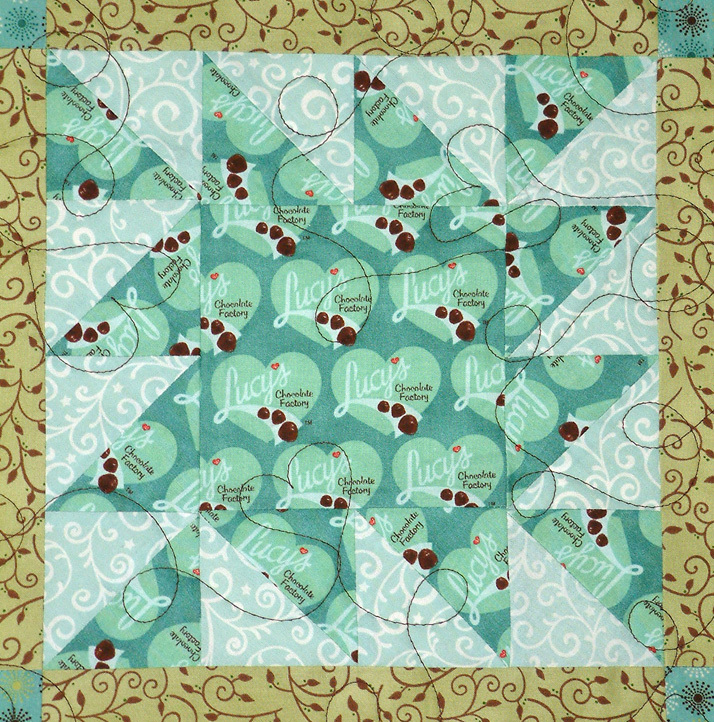 The Lucy quilt is so sweet, and I’m sure your friendship means so much to her. She means a lot to me. Thanks. So sorry to hear of your sad news but pleased that your friend finds so much comfort in her quilt. It means a lot to have something so personal from a dear friend no matter how far you have drifted apart and so sorry that she has to endure the return of the cancer. Oh, dear–that’s all so sad and scary. I hate cancer, maybe more than anything . . . The quilt probably means more to her now than ever before. It is sad and scary. You nailed it. Thanks. Don’t you wish love could kill cancer! Love can do a lot of things but so far not that! I’m sorry – for you and Lucy/Lisa and her family. Life sometimes seems so unfair. Sometimes it is. Thank you. 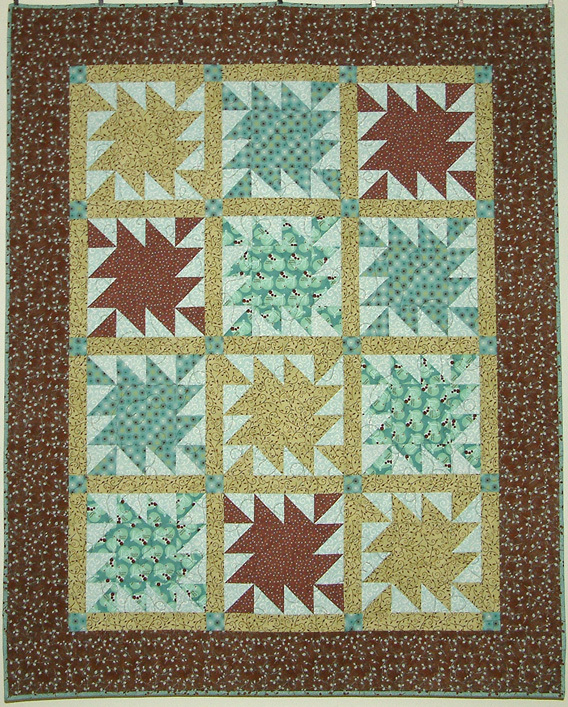 Sorry about your friend’s illness and the quilt is wonderful and filled with love!